A beautiful place. A safe place. A place for learning. 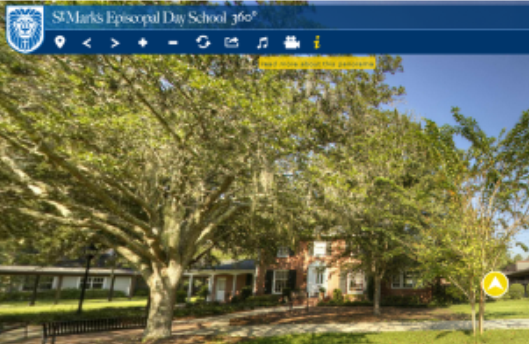 St. Mark’s Episcopal Day School is blessed with a beautiful and unique campus. We use our campus as a tool to assist in educating our students. Whether it is a science class learning about plant root systems in our garden, or a one-on-one reading session under the shade of a canopy oak, our students spend time throughout the day outside. First time visitors often remark of an incredible feeling of happiness and serenity when walking about on campus. We invite you to come for a tour to feel it for yourself! The best way to see our campus is by coming for a visit. In the meantime, please click here to enjoy this virtual tour to show you around! 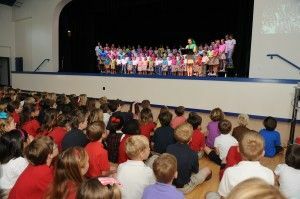 Located on almost six acres in view of the St. Johns River, the school’s classrooms open to fresh air outdoors and are connected by covered walkways. All classrooms in pre-kindergarten through sixth grade are equipped with overhead projectors and interactive white boards. In addition to a 22 station Apple computer lab, our technology also includes iPads and portable laptop carts. Sixth grade students enjoy a one-to-one learning environment with an assigned laptop. 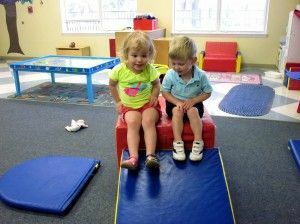 As a safe and nurturing place for one and two year olds, the McCarty Early Learning Center has five age-appropriate classrooms, a chapel area, the Church Nursery, and a large tree-shaded playground. Accredited by NAEYC, the facilities meet the highest standards for early childhood care. 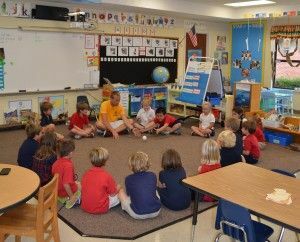 Bright and open, classrooms are filled with toys and centers to encourage growth and development during these special years. Six raised bed pesticide-free gardens are located around the campus near walkways for students to observe daily growth. 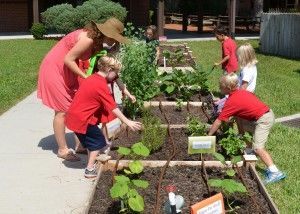 Each grade level enjoys visiting or working in the gardens as part of their curriculums. The gardens are even integrated into some service learning projects. As a large multi-purpose space, the Lori Schiavone Commons hosts musical and drama productions, Wednesday chapel services, indoor P.E. classes, after-school basketball practices and games, and lunch. The space has also accommodated the school’s annual dinner and auction event and many fundraising spaghetti dinners! It is truly a center of activity for the school. 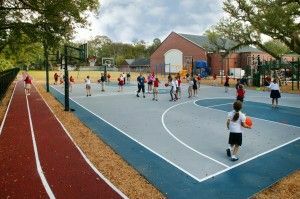 Recently renovated in 2012, the playfield encompasses the Patty Gordon Basketball Court, the Durkee Track, playground equipment, and a large open grass space for P.E. classes, after-school sports, and kickball games.